CHPS is leading a national movement to improve student performance and the entire educational experience by building the best possible schools. To achieve this goal, we maintain the nation’s most authoritative criteria for sustainable, cost effective schools with high quality learning environments. 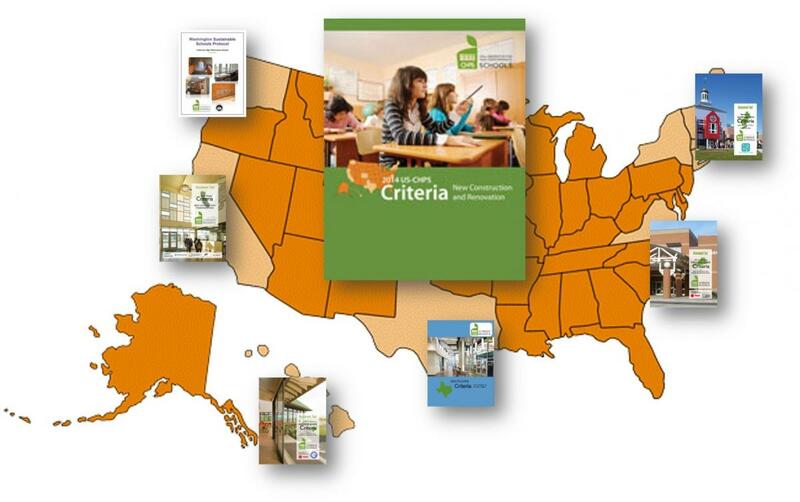 The CHPS Criteria (formerly Volume III of the Best Practices Manual) is designed to help school districts in every community across the country reduce operating costs, achieve higher student performance, increase daily attendance, retain quality teachers and staff, be energy and water efficient, and minimize environmental impact. CHPS is putting the finishing touches on the Core Criteria v3.0 (view draft here) and will be publishing the new edition later in April. The third edition builds upon the CHPS 2014 Core Criteria guidelines (v2.0-2.2) currently in practice and incorporates recent changes in construction and building materials technology. It also adds additional credits to specifically address lowering school buildings’ carbon footprint through reduction of greenhouse gas emissions and promoting resiliency to climate change. The CHPS National Core Criteria is the basis for new adaptations to and updates of the CHPS Criteria.